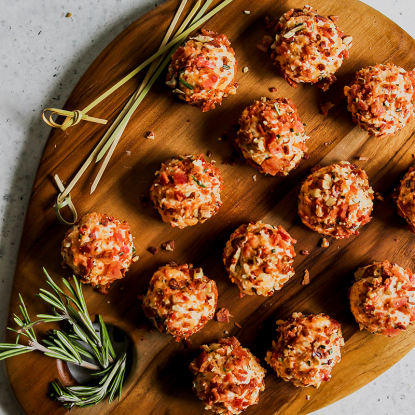 Makeover frozen tater tots by tossing with spices, baking into crunchy cups and topping with ham, peppers and melted cheese to create Southwest Tater Tot Bites. 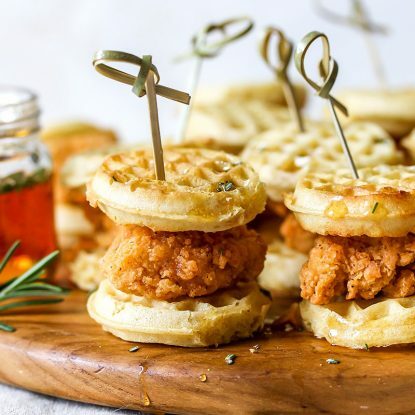 Each bite delivers big flavor and are ideal for a family-friendly breakfast or brunch or a festive party appetizer. 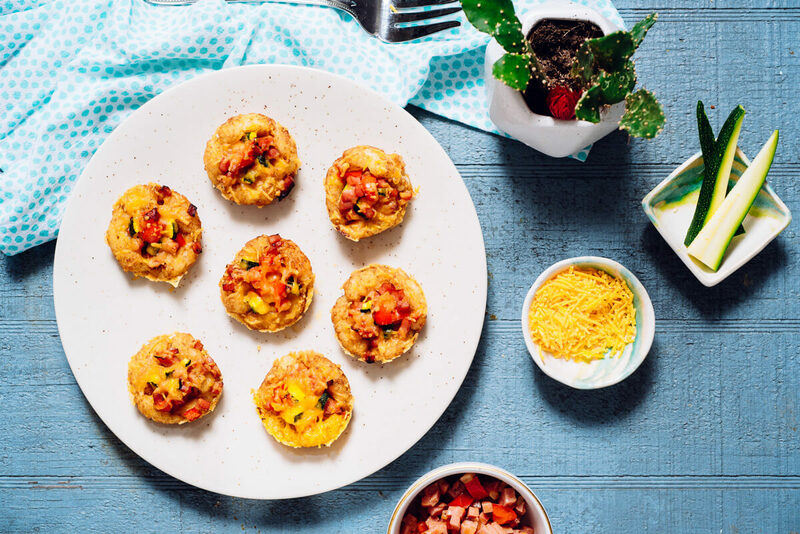 When Western Omelet meets hashbrown, fun is sure to ensue and that’s exactly the marriage of flavors you’ll experience when biting in to each flavor-packed tater tot cup. 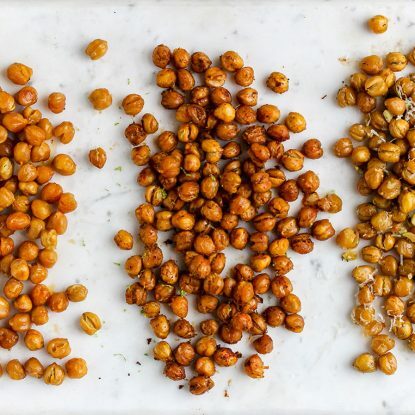 With a dusting of chili powder just before baking, these little bites have real pizzazz. 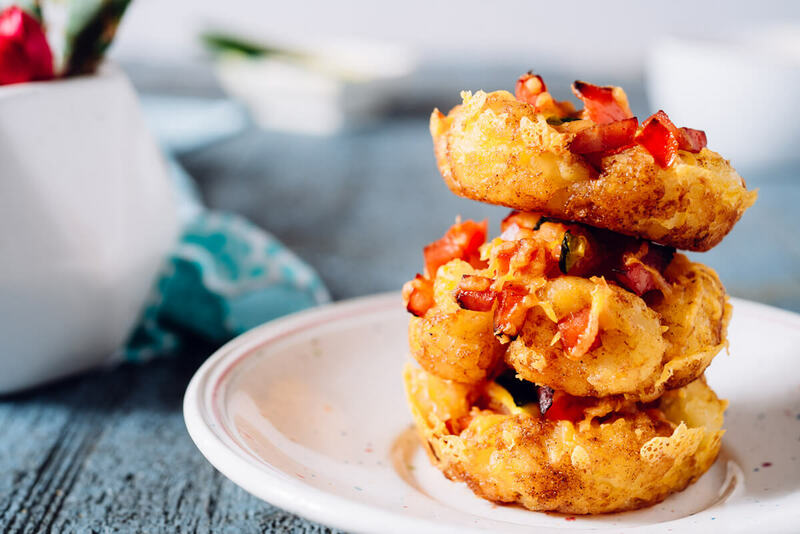 The recipe starts with frozen tater tots tossed in cumin and sweet paprika for a southwest flavor and then baked in muffin cups until golden brown. Sauteed ham, peppers, and onions fill each little cup followed by a sprinkling of cheese before going back into oven to cook until the cheese melts. 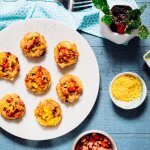 Each little tater tot muffin serves as a delicious start to the morning alongside scrambled eggs. You can even bring them to the dinner table for a fun spin on Taco Tuesday or serve them up appetizer style with a size of sour cream or salsa. Best of all, they can be made ahead, frozen, and then reheated when you’re ready to eat. Toss tater tots in large bowl with cumin and sweet paprika. Spray cups of a 12-count muffin tin with cooking spray. Place 4 tots in each muffin tin. Bake for 10 minutes. While baking, sauté ham, onion, red bell pepper and green bell pepper until softened. Add chili powder and cook one minute more. Once baked, use a large spoon to gently push down the center of each cup to make a pocket. Fill the cup pockets with evenly with filling (about 1 Tablespoon each) then top evenly with shredded cheddar cheese. Bake for 15 more minutes or until cheese is melted. Let cool in the pan five minutes then remove cups and cool on a wire rack or serve immediately. 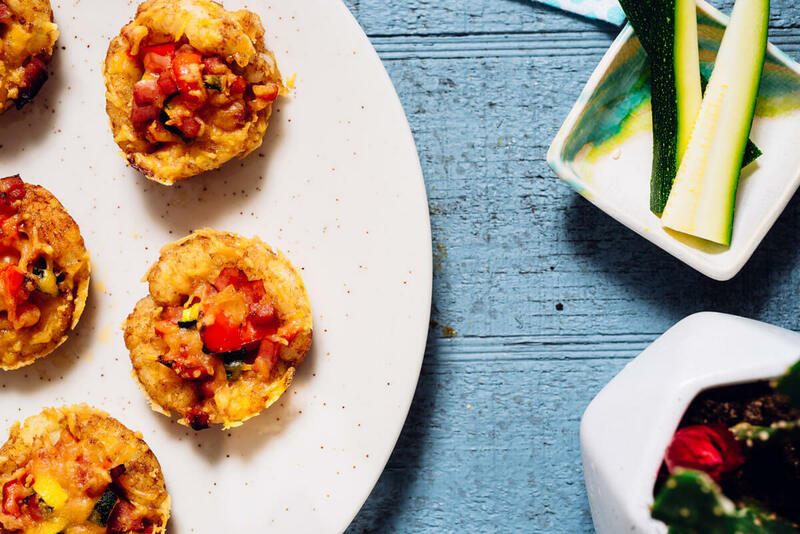 For a family-friendly breakfast or brunch, Southwest Tater Tots Bites deliver big flavor in a scrumptious bite-sized package.